Get ready to go the extra mile in comfort and assurance with the everlasting fun to drive RAV4. With its bold front end, restyled rear fascia, sleek exterior design and trendy wheels, the RAV4 will most definitely leave a lasting impression wherever you go in Houston, TX. Whether you are a commuter or adventurer, the RAV4 has a variety of features that can make your driving experience more pleasant and easier than ever. With its roomy interior and spacious cargo area, you’ll always have room to stretch out. In addition to the comforting features; you’ll always be able to get the most fuel efficiency out of your trip with the advanced hybrid powertrain, saving you time and money. A major redesign ushers the 2019 RAV4 into best-model-yet territory. Already a remarkably popular and well-rounded member of the compact crossover class, the RAV4 continues to upstage many of its class rivals and now offers more in the way of style, equipment, and safety. For starters, the 2019 RAV4 received some exterior styling updates that give it a sportier and more aggressive appearance. These elements include a rear spoiler, dual exhaust, and freshly designed LED headlights and taillights. It’s a good-looking crossover, sure – but that’s just the start of the enhancements. Beneath that sharp exterior lies a cabin that is roomy, comfort-oriented, and packed with features that bolster connectivity, convenience, and entertainment. With premium tech features at your fingertips, every ride will be more enjoyable for everyone inside the RAV4. What’s more, drivers and passengers alike will be better protected in the 2019 RAV4, with the Toyota Safety Sense 2.0 package offering enhanced safety via a pre-collision system with pedestrian detection, dynamic radar cruise control, automatic high beams, lane departure alert with steering assist, and more. If you’re seeking a well-rounded compact crossover that is a prime example of amazing value, capability, and quality, you owe it to yourself to check out the 2019 RAV4 in person. Explore the offerings of each of its well-equipped trims and decide which is best for you. And when you buy your RAV4 from Mike Calvert Toyota, you’ll get not only an amazing vehicle but an incredible bargain that will make this your smartest purchase ever. On its launch in 1994, the RAV4 was officially the first compact crossover SUV to have been built and was just paving the way towards a new category of SUV’s. By keeping the customer’s desires in mind, Toyota engineered a vehicle that had most of the benefits of an SUV with the maneuverability and fuel economy of a compact car. Such features included a spacious interior design, higher visibility and the option of two or four-wheel drive. After the RAV4 had cycled through three generations, in 2012 they debuted what would be the most significant event of the RAV4s existence with an entirely revamped design. 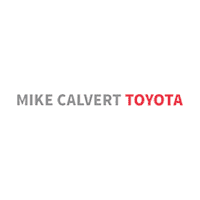 Our primary goal at Mike Calvert Toyota is to provide you with the most pleasant experience possible and to ensure that you are truly getting the vehicle that suites you. Our experienced staff can help you through the entire process step by step, answering any questions you may have or fulfilling any requests. You can even stop by our dealership in Houston, TX today to experience an unforgettable drive in one of our new or used Toyota RAV4s! If you’d like to learn more about everything our dealership has to offer, feel free to pay us a visit here were only a short drive from Bellaire, Pearland, Sugar Land, and Missouri City!